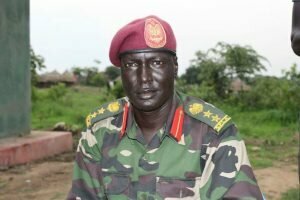 Pagak/Juba, May 1, 2017 (SSNA) — South Sudanese rebels have accused the United Nations Mission in South Sudan of coordinating and facilitating the movement of government forces, the Sudan People’s Liberation Army-In Opposition (SPLA-IO) spokesman said. It is not clear what provoked the armed opposition to accuse the world body of providing support to South Sudanese government. However, SPLA-IO spokesman Brigadier General William Gatjiath Deng said in a statement released Sunday that UN helicopters were seen in and around Tonga areas lifting government troops who were trapped in the area after a fierce fighting between the rival forces. “We are once again appealing to the United Nations Mission in South Sudan (UNMISS) to immediately stop coordinating, providing support to, and facilitating the movements and operations of the Juba regime forces in South Sudan,” Deng said. The rebel spokesman complained that UNMISS offered its assistance to Juba-backed forces while the very soldiers they helped airlifted involved in killings of non-Dinka civilians. “The UN was doing this, while Juba regime forces involved in the operations were actively killing and committing atrocities against the non-Dinka civilian population in the area,” he asserted. Brig. Gen. Deng further alleged that UN has in the past helped government troops, saying, UNMISS allowed “allowed Juba security agents unlimited access to UNMISS facilities including internet, telescope, other surveillance, and communication equipment” in January. He also alleged that the UN once allowed government security officers to use its buildings for monitoring, mapping, and locating SPLA-IO positions and movements around Nasir. Deng further accused UNMISS of not protecting civilians and calls on the United Nations to investigate activities of its peacekeepers operating in South Sudan. Comment * SPLA-IO is accusing UN with unfounded and baseless accusation. This is really kind of frustration of their movement. Wait-war .I don,t think that S.Sudan could be stable while Mr.president and his officials are hearing dogs barking at every corner.Look!William Gatjiath pretended himself that Iam brigadier and sounding with harsh vioce UN colluding UN colluding.How fool is he and fool to anyone who dislike this. I think UN failed SS a long time ago by allowing Salva to chase Reik out of the unity government. Kiir regime went further into the Unmiss controlled camps, raped and murdered civilians willy-nilly without any resistance. lgad members are also a problem becoz they are busy strengthening Juba regime by abducting their perceived enemies and also sidelining Reik. But l doubt the significance of their actions, war might spread rapidly within SS. And Kiir’s alluded national dialogue has no takers. Recently, madame Rebecca Garang rejected it patently, Kiir was slapped with an egg on his face. Obviously, isolating chief rebels leader, Dr Machar will not help matters any more. UN, have to maintained its neutrality for all. You are right but stop from there. Who knows the great man the answer for evrything we want and what ever you think is good. Let it be answered by him no who knows the answer. I can say emen in Jesus name we pray.